Weihai, in eastern China's Shandong province, is a picturesque city on the eastern tip of Shandong Peninsula. Bounded on three sides by the Yellow Sea, Weihai looks out to the Liaodong Peninsula in the north and the Korean Peninsula in the east. There are 185 islands and beaches scattered along its coastline. It is also home to a great number of mountains, bays and springs. Weihai was approved as a national sanitary city, a national model city in environmental protection and a national forest city by the central authorities. It has twice been honored with the Dubai International Award for Best Practices to Improve the Living Environment, and has also won the UN-Habitat Scroll of Honour Award. The city, well-known around the world for its natural environment, is also a winner of the China Human Settlements and Environment Award. In recent years, the city has strongly promoted its opening-up, economic upgrade and marine economy and its rural development aims to better support long-term growth. Weihai is fixing to increase its presence in international markets, expanding foreign trade and commerce by leveraging its existing advantages and competences, according to local officials. "We should promote Weihai's internationalization," said Zhang Haibo, mayor of Weihai, who added that this would boost its economy and stimulate social development. The Chinese coastal city is just over 400 kilometers away from South Korea's capital of Seoul on the other side of the Yellow Sea, as the crow flies. Making the most of its location, Weihai built an outstanding transport system linking China and South Korea, which has led to strong cross-border e-commerce cooperation between the two countries, local officials added. Currently Weihai has seven passenger and cargo lines that head to South Korea, whose ships make 21 voyages between the two countries every week. Officials said the city views the Belt and Road Initiative as a prime opportunity to boost its collaboration with the countries along the Silk Road Economic Belt and the 21st Century Maritime Silk Road in such areas as rubber chemicals, textiles, trade logistics, contract work and ship management. Since 2016, Weihai's government has successively helped over 200 companies to conduct business studies of countries involved in the BRI. Those efforts have paid handsome dividends, with more than 28 companies to date having invested in 47 projects and established four branches in 20 countries involved in the initiative. The total value of their investments was $627 million, according to Qiao Jun, director of the bureau of commerce of Weihai. Statistics show that 1,354 local firms had import and export trade with the countries involved in the BRI last year, accounting for 35.9 percent of the total amount of Weihai's import and export businesses. Conducting import and export trade with 61 countries involved in the BRI, the enterprises generated a total import and export value of 29.7 billion yuan ($4.3 billion) in 2017, up 26 percent year-on-year. 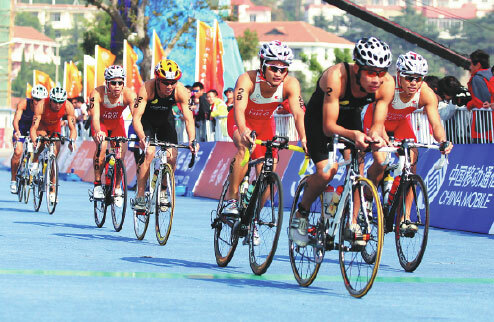 "Weihai has always regarded attracting foreign businesses and investment as the lifeblood of the economy," Qiao added. That positive attitude has yielded results. United States technology giant Hewlett-Packard Inc last year decided to manufacture printers in the city. 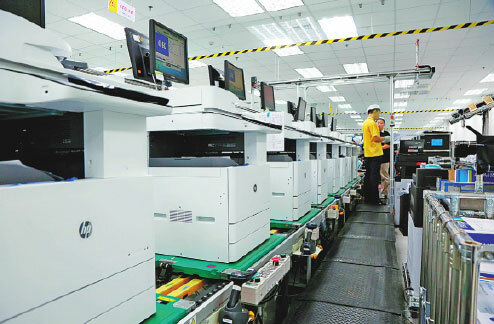 To accelerate HP's settling in, Weihai built an entire industry chain in advance by introducing five supporting projects, involving $1.2 billion in total investment. Among the companies involved was EVA Precision Industrial Holdings Limited, a high-tech company manufacturing office automation equipment and offering related services. Marquardt Group Co - a leading manufacturer in the field of electro-mechanical and electronic switches and switching systems - also started to produce its automobile electronic systems and microswitches in Weihai in 2017. Weihai is sparing no effort to replace its old economic drivers with new ones to support long-term regional growth. Zhang said the city has tailor-made its economic upgrade plans, which will develop the region into a coastal city focusing on innovation, smart manufacturing, healthcare and becoming more modern and creative. The bespoke city upgrade plan was released in February. It states that the city will foster seven key industrial clusters - new generation of information technology, medicine and medical equipment, composite materials such as carbon fibers, advanced equipment and smart manufacturing, marine biology and healthy foods, fashion and sports products, and health-centered tourism. Each will have the aim of achieving an annual output value of 100 billion yuan. The city has developed a series of policies and support tools to help business speed up their upgrading. 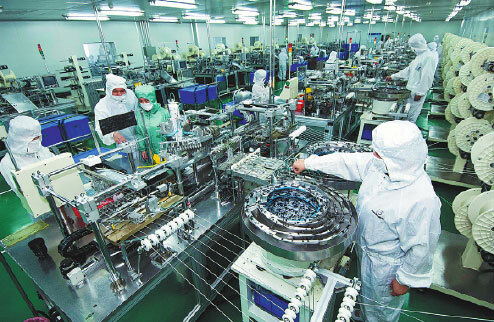 An industrial development fund was established by the Weihai government to support businesses in the process of upgrading and transforming their business modes. The fund is planned to have 30 billion yuan capital in its initial stage, according to local officials. Weihai is taking a series of measures to support the development of its marine economy and also ensure sustainable growth with respect to the environment. The city is well-known in China for its abundant marine resources. The length of its coastline is 985.9 kilometers, accounting for one-third of the total in Shandong province and one-eighteenth of China. It is home to more than 300 different marine harvests such as sea cucumber and abalone. In 2017, the output value of the marine industry accounted for 37.6 percent of local GDP. There are some 13,000 fishing boats in the city, of which 365 can work in deep ocean waters. The overall output of the Weihai fishery industry reached 2.57 million metric tons last year, according to the Weihai government. In recent years, Weihai has developed many marine technology innovation platforms and solved many technological problems facing the industry. Statistics from the local government show that the city has 10 national-level and 70 provincial-level marine-centered innovation platforms. It has built 26 work stations for Chinese Academy of Sciences and Chinese Academy of Engineering academicians. The city has 17 work stations for post doctorate-degree holders. In June, Weihai released a piece of coastal zone protection regulation, a marine city construction plan and a three-year action plan to promote development in its marine economy. Over the next few years, Weihai will focus on industrial upgrades, building technology platforms, innovation in financial products and services, and leading brand cultivation to push its marine innovation, industrial chain construction and industrial cluster development. Weihai has identified rural tourism, industrialized agricultural development and intangible cultural heritage as the three key areas that will support its rural revitalization. The city is reporting an increasing number of rural tourism product offerings and in recent years an expanded rural market. By the end of 2017, the city had 626 agricultural leisure and rural tourism business operations, 82 of which reported annual operating income of 5 million yuan. As a key to advancing rural development, Weihai supported the expansion of industrialized agricultural operations and pacesetting agricultural companies. Statistics from the Weihai government showed that there are 10 national-level pacesetting businesses and 44 provincial pacesetting businesses in the city. Key businesses reported sales revenue of more than 70 billion yaun in 2017. More than 900,000 rural families were engaged in the agricultural industry last year. Officials said that in recent years the city's cultural development had also not been ignored in the rural revitalization program. Weihai is home to such cultural heritage as Luxiu, which is Shandong-styled embroidery, and Huabobo, a locally produced steamed bun that is a must on special occasions. Officials added that the city has paid attention to promoting the preservation and development of its traditional cultural heritage. Luxiu and Huabobo are now sold to countries such as the United States, Germany and Russia. Weihai has seen an increasing number of businesses specialize in traditional cultural heritage. The city authority has vowed to take measures to support traditional cultural industry development in upcoming years.